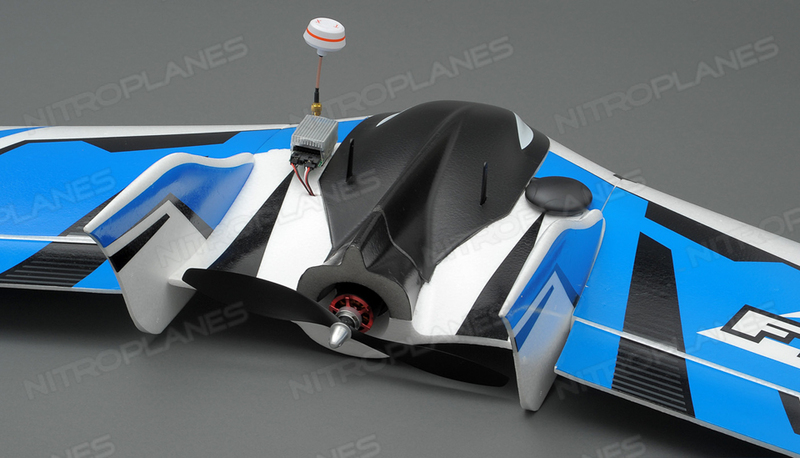 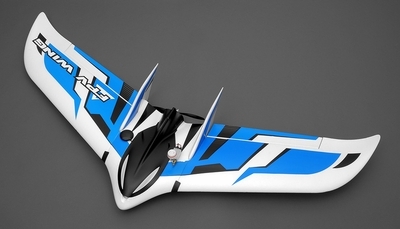 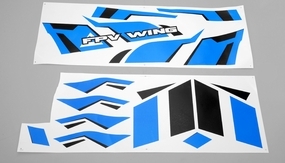 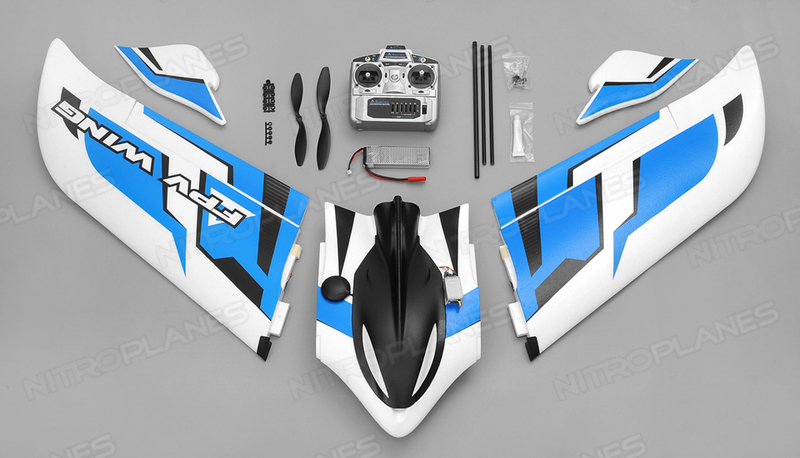 The AeroSky FPV Wing is constructed of tough EPO foam and finished with beautiful blue and black graphics. 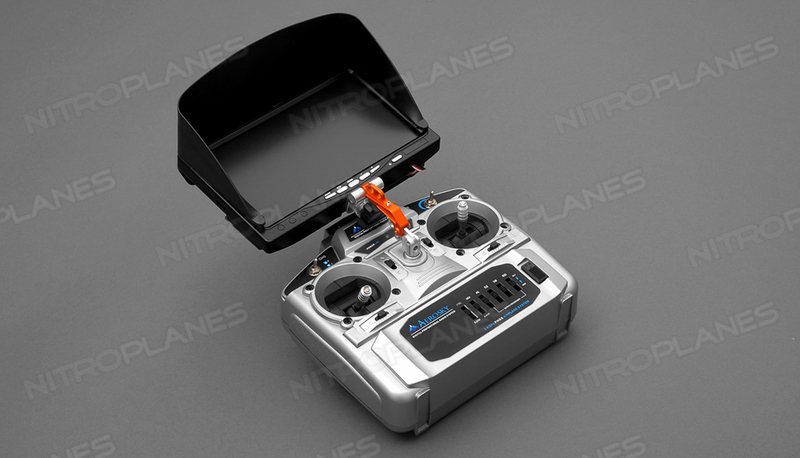 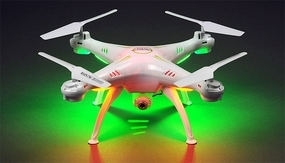 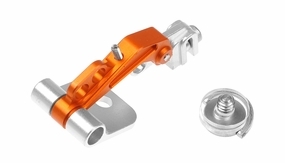 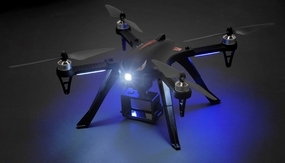 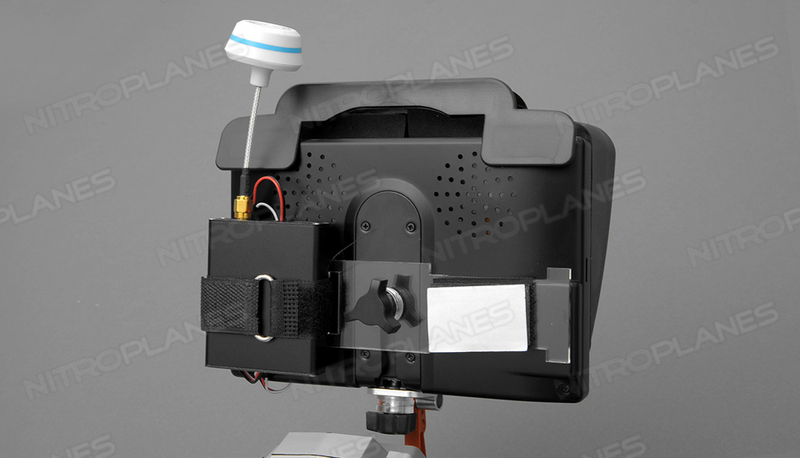 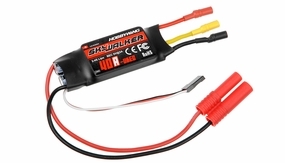 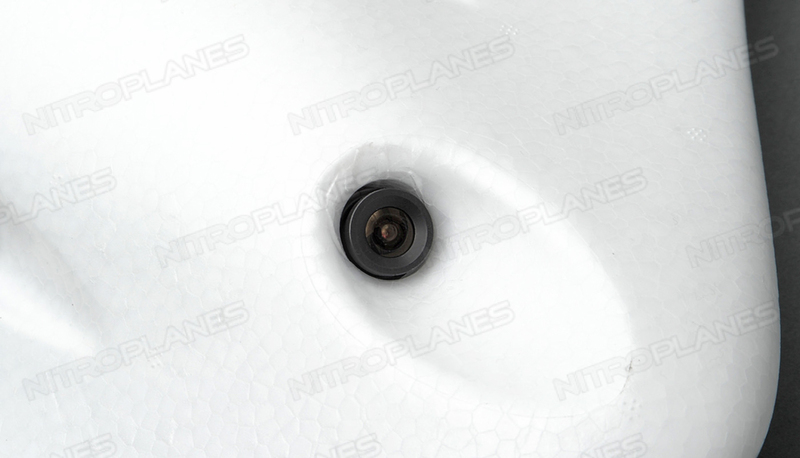 A molded in forward looking camera bay just under the nose houses a Sony CCD 600 TVL camera which provides excellent aerial field of view and surveillance capability.� An 880kv out-runner motor and 40amp sky walker speed controller give this plane exceptional power to weight ratio, while digital servos provide precise controls. 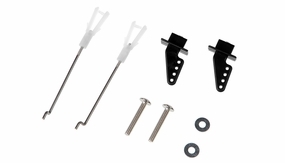 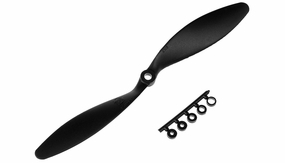 3K wrapped carbon tube increases structural rigidity in the wing and are designed into the plane that allows it to break down into three pieces for easy transport. 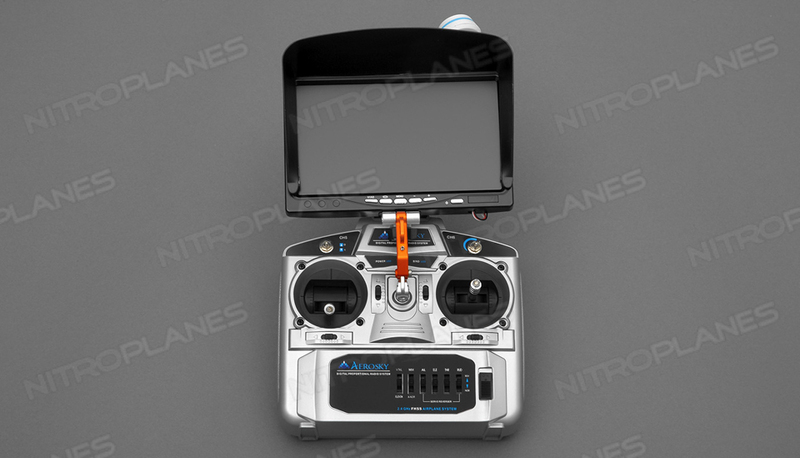 The AeroSky autopilot controller and GPS system delivers a whole new flight experience. 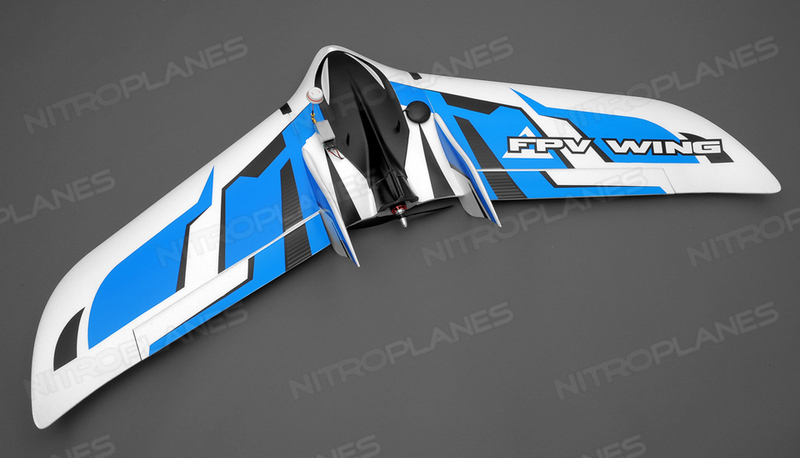 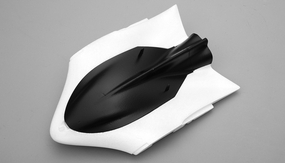 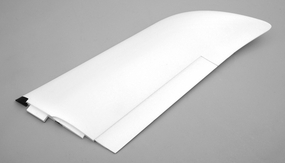 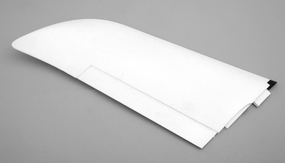 With the assistance of GPS the FPV wing is fully capable of returning to its starting point on auto pilot. 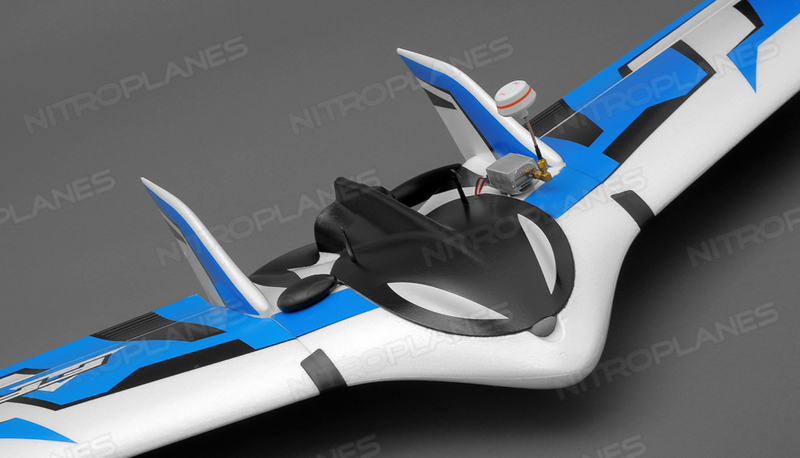 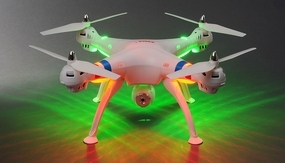 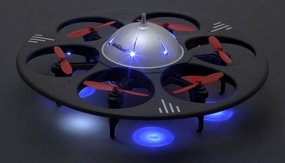 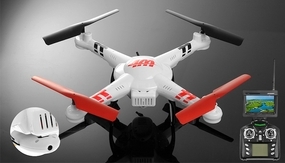 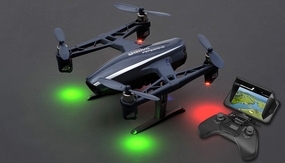 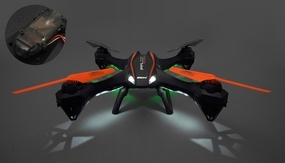 The self stabilization mode acts like a gyro and allows the plane to fly extremely smooth and stable. 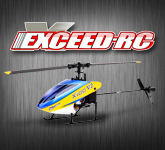 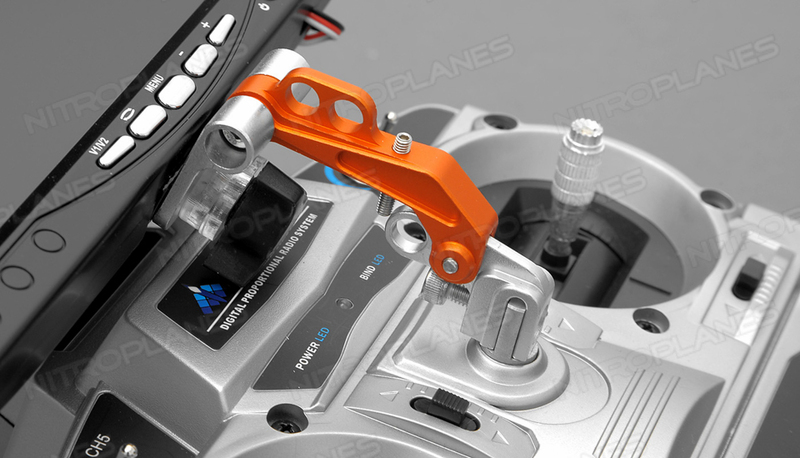 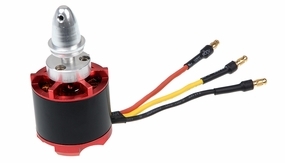 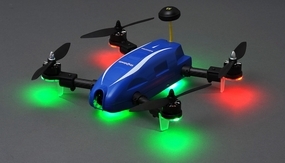 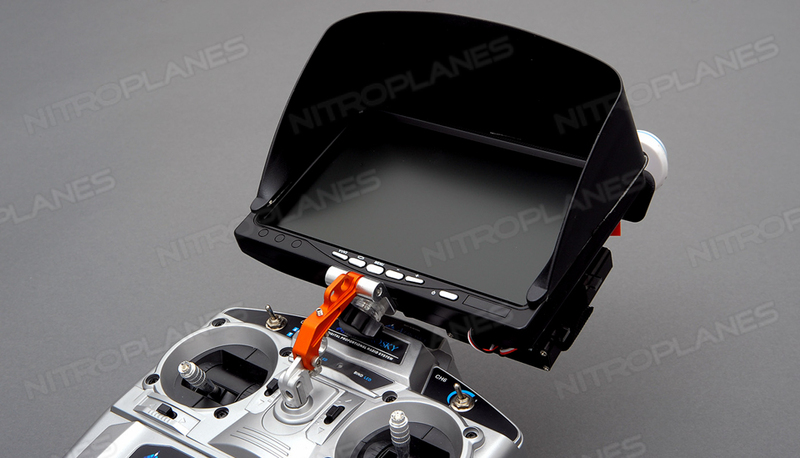 Tired of flying the plane and just want to focus on your mounted FPV system? 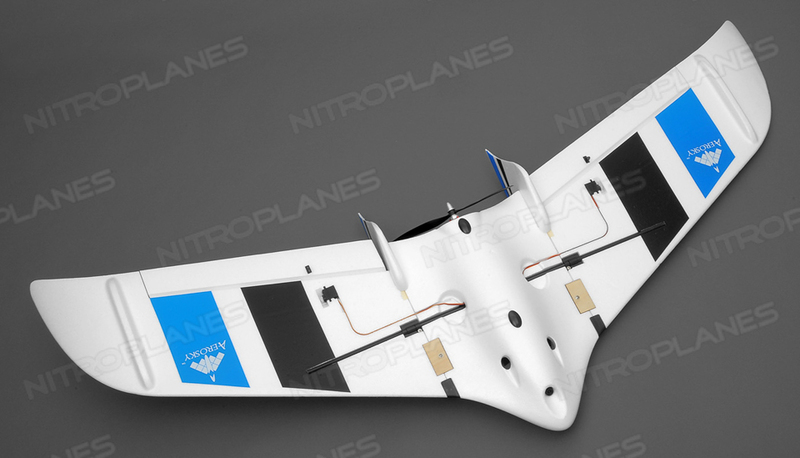 Utilize the altitude hold function and allow the aircraft to hold a specific altitude so you can focus on aerial surveillance. 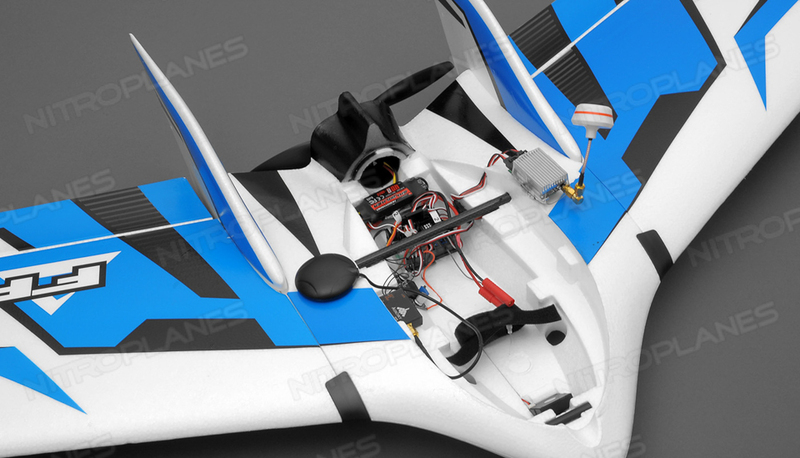 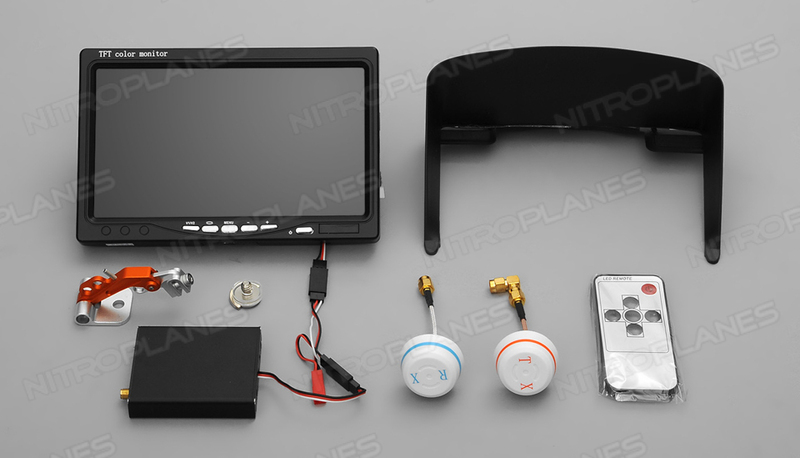 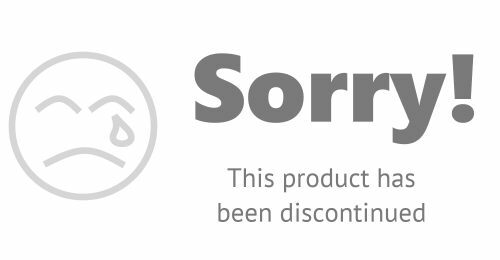 The FPV Wing package comes with a monitor, camera, transmitter, receiver, and accessories that� will outperform some of the other more costly systems out there. 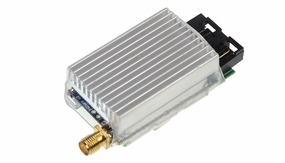 The 5.8GHz system transmits without interference problems associated with common household 2.4 GHz wireless and model radio control systems. 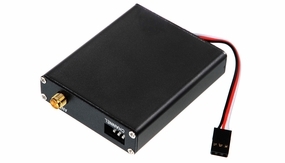 The 200mW 5.8 GHz transmitter and receiver are capable of broadcasting your video wirelessly where many others transmitters can't. 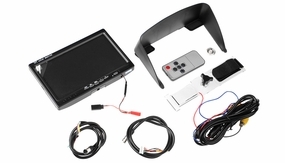 A small receiver comes with two video outputs. 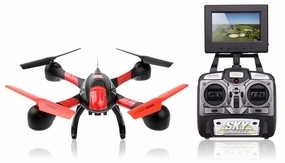 It will accept two video displays or one video display and a video recorder simultaneously. 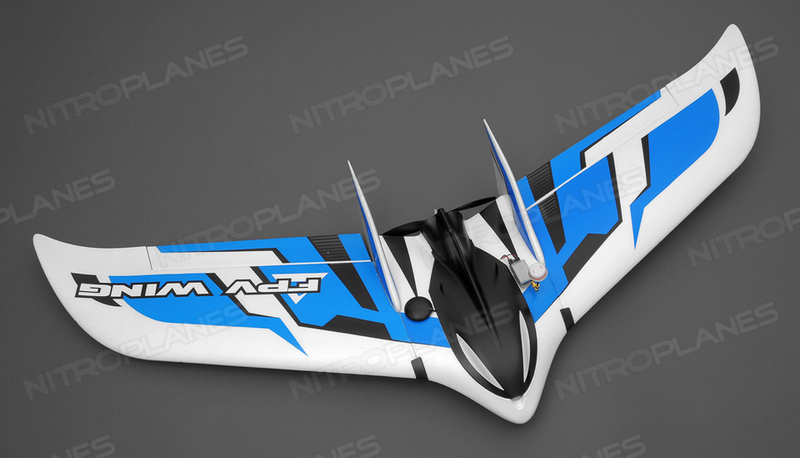 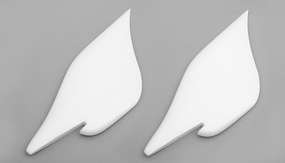 With an average flight time of 25-40 minutes, The FPV wing is capable of covering a large amount of area in a very small timeframe.